How about you try something a little different for Thanksgiving this year? Every family has their own traditions. In our house, we don't mess with our stuffing (sausage stuffing, duh), brussels sprouts (definitely with bacon), and pecan pie (homemade, of course). But there's always room to mix it up. 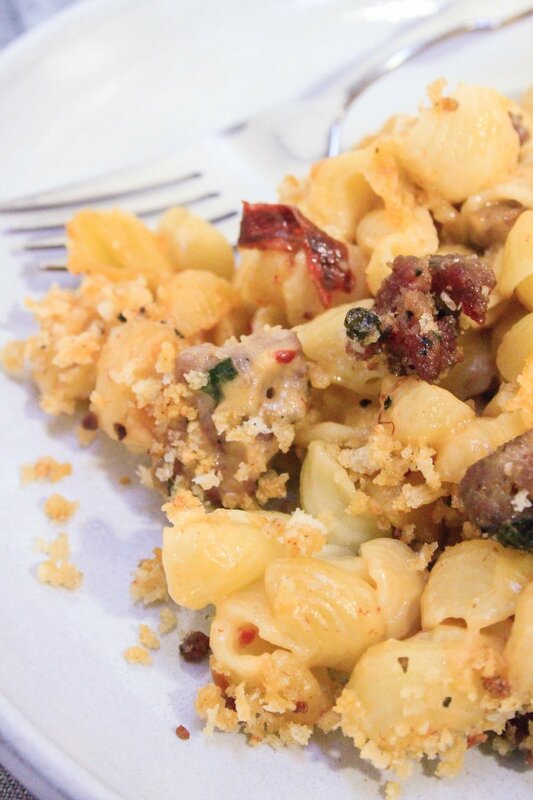 Mac and cheese is a great place to insert something new on the table. This mac and cheese is smokey with adobo sauce and chunks of sausage. It's also the easiest mac and cheese recipe ever. You're welcome. So is Thanksgiving just another excuse to eat mac and cheese? Yes, and you can make it this one this year. Find the recipe below! Preheat your oven at 350 degrees Fahrenheit. Set a large pot of water to boil. Cook the dried mini shells until al dente. Drain. Heat a large sauce pan on medium-high heat. Add the sausage. Use a spoon to break the meat down into smaller pieces and brown. Set aside. In the large pot, melt the butter. Add the flour and stir until it forms a paste. To make the sauce, add milk bit by bit, stirring and allowing the mixture to thicken after each addition. Be patient, don’t rush this process! 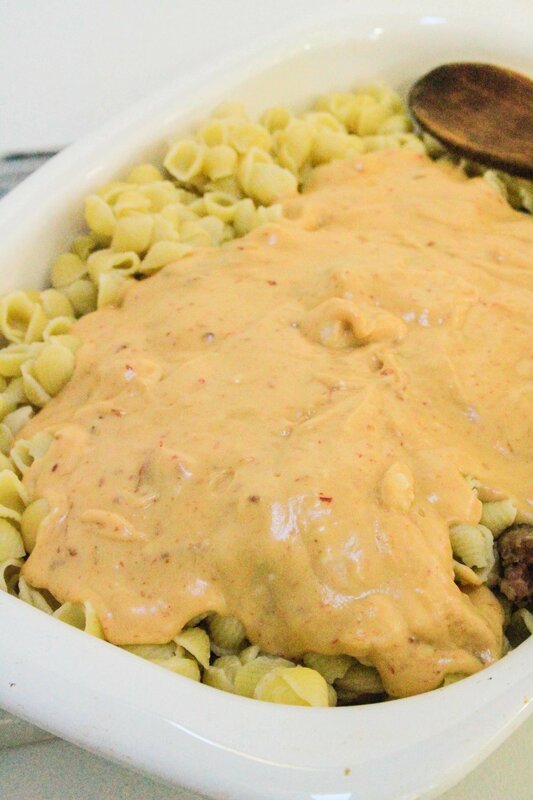 Once all the milk is added and the sauce is creamy and thick, add the cheddar cheese and adobo sauce. Stir to combine and melt the cheese. Toss the mini shells in the sauce and add the sausage. Combine and add everything to a baking dish. Top the dish with the bread crumbs and bake in the oven for 25 minutes. Serve warm.